Hello. I'm Michael Sox. 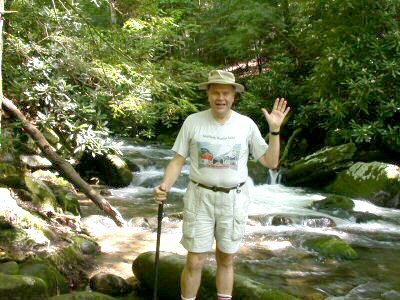 This is a picture of me in the Great Smoky Mountains National Park on the Tennessee/North Carolina border in July 2003. Below are links to some of my photographs taken in places I've visited during the past few years. My photography is a hobby, not a profession. Use the links below to be taken to my various pages of photographs.